I think we have a winner. Unfortunately for me. 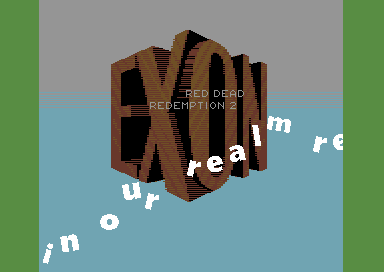 :) And about time someone cracked RDR2 for C64. C64 still has so much love to give! amazing design and great music! one of the best scrolls ive seen in c64 land... nah, everywhere! "... a little above lame... "
now THATS how you do a scroller! awesome scroll & nice track! Well ain't this one of the coolest cracktro scroller parts ever. I like it EXTREMELY. Now, where can I dl the game?? page created in 0.015528 seconds with 15 queries.